Now you all know that I like anything that is going to speed up the housework process! And you will also know that I love my hard floors that are all the way through my downstairs (an absolute necessity with the dog!) we do have a few rugs scattered around, mainly for the dog to lie on! So when the good folks at Karcher asked me if I would to like review The Karcher FC5 that both vacuums and cleans the floors at the same time, my face went into a look of pure wonderment! Could it be this easy? Is there a product out there that would allow me to skip a step and combine vacuuming and washing the floor! Is my mop now defunct?! It seems that you guys were also eager to know how it performed. I have had loads of messages asking me what I think but I wanted to make sure that I gave it a good testing before I gave you all my honest thoughts. I have been using it for a few weeks now (hey I wanted to make sure that I was thorough!) 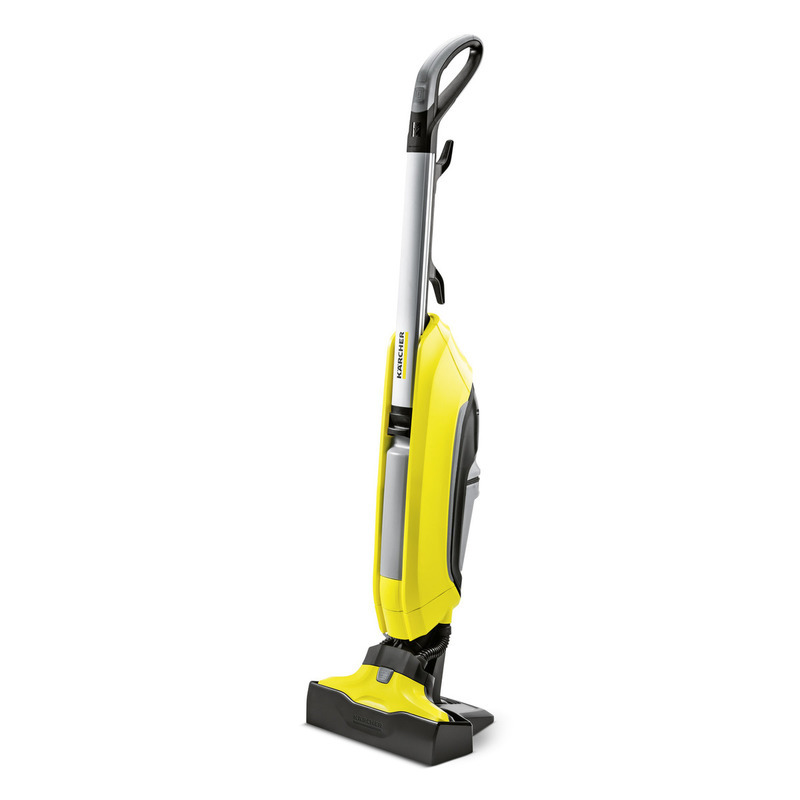 and here are my thoughts on the Karcher FC5! It is really easy to put together. If you are anything like me when you get a new housework toy you don’t want to be spending ages assembling, reading instructions and charging! This bad boy doesn’t need charging you just plug it in and you’re off! The FC5 can be stored anywhere. It comes with a freestanding base to keep it upright. It lives in my cupboard under the stairs. I loved the way that the floors dried really quickly, meaning I didn’t have to keep the whole family off the floors whilst they dried. It is almost impossible to find a time when there is no one in the house so this gave it a massive thumbs up! Nor does it over wet the floors, so perfect for laminate that tends to bubble if it gets too wet. The rollers are also removable and washable in the washing machine at 60℃ – WINNING! The machine is fairly heavy, fine for me but if you have mobility issues you might find it a bit cumbersome. If you have a large bits to pick up (a spillage of cheerios for example) then you will need to clean these up first. The Karcher FC5 won’t replace my Dyson v10 because it doesn’t pick up big bits from the floor (it is for light debris) and of course I still have to have the Dyson to do the carpets upstairs. BUT for a clean on all the hard floors then it is quick and easy to use, doesn’t leave the floors streaky and dries super fast (perfect if you have kids) and it will save you time. So if you have a lot of hard floors and want something that is quick and easy to use and will save you time then I think this is a good buy. Am I still using it? Yup!